Our ER Originals have zorb inners. All backed with a non-slip polar fleece backing. Our pads have kam snaps on their wings, designed to snap around underwear to keep them in place. They can also be folded and snapped into place after use. 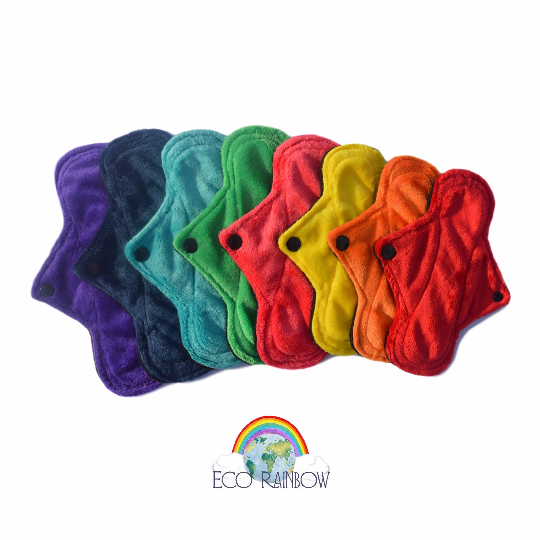 Our snaps are colour coded so you can easily tell the absorbency. Please allow up to 14 working days for dispatch as these are made to order.